An incendiary tell-all book sets off a firestorm in the White House, with its descriptions of current and former aides calling U.S. President Donald Trump an "idiot" and a "liar," disparaging his judgment and claiming they plucked papers off his desk to prevent him from withdrawing from NAFTA. An incendiary tell-all book by a reporter who helped bring down Richard Nixon set off a firestorm in the White House on Tuesday, with its descriptions of current and former aides calling U.S. President Donald Trump an "idiot" and a "liar," disparaging his judgment and claiming they plucked papers off his desk to prevent him from withdrawing from a pair of trade agreements, including NAFTA. The book by Washington Post journalist Bob Woodward is the latest to throw the Trump administration into damage-control mode with explosive anecdotes and concerns about the commander-in-chief. The Associated Press obtained a copy of Fear: Trump in the White House on Tuesday, a week before its official release. 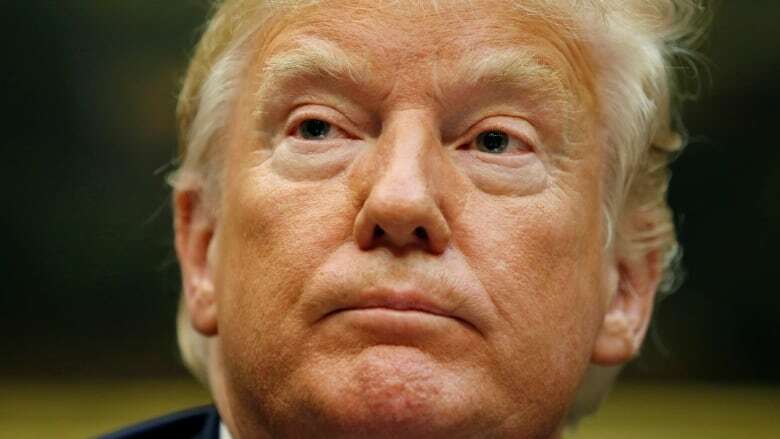 Trump decried the quotes and stories in the book on Twitter as "frauds, a con on the public," adding that Defence Secretary Jim Mattis and chief of staff John Kelly had denied uttering quoted criticisms of the president in the book. And he denied accounts in the book that senior aides snatched sensitive documents off his desk to keep him from making impulsive decisions. He said in an interview with The Daily Caller, "There was nobody taking anything from me." When asked about the NAFTA claim in the book, Prime Minister Justin Trudeau said, "I think you know my approach on issues with the Americans is I don't comment on these aspects of things. "We stay positive, we stay constructive, we stay willing to work for the best interests of Canadians in partnership with the Americans," the prime minister said ahead of Wednesday's planned resumption of trade talks between Canada and the U.S.
Later Tuesday, Trump was back on Twitter denying the book's claim that he had called Attorney General Jeff Sessions "mentally retarded" and "a dumb southerner." The publication of Woodward's book has been anticipated for weeks, and current and former White House officials estimate that nearly all their colleagues co-operated with the famed Watergate journalist. The White House, in a statement from press secretary Sarah Huckabee Sanders, dismissed the book as "nothing more than fabricated stories, many by former disgruntled employees, told to make the President look bad." Woodward did not immediately respond to a request for comment. The book says Trump's former lawyer in the Russia probe, John Dowd, doubted the president's ability to avoid perjuring himself should he be interviewed in special counsel Robert Mueller's investigation into Russian election interference and potential co-ordination with Trump's campaign. Dowd, who stepped down in January, resigned after the mock interview, the book says. Dowd, in a statement Tuesday, said "no so-called 'practice session' or 're-enactment"' took place and denied saying Trump was likely to end up in an orange jumpsuit. A Pentagon spokesperson, Col. Rob Manning, said Mattis was never interviewed by Woodward. "Mr. Woodward never discussed or verified the alleged quotes included in his book with Secretary Mattis" or anyone within the Defence Department, Manning said. 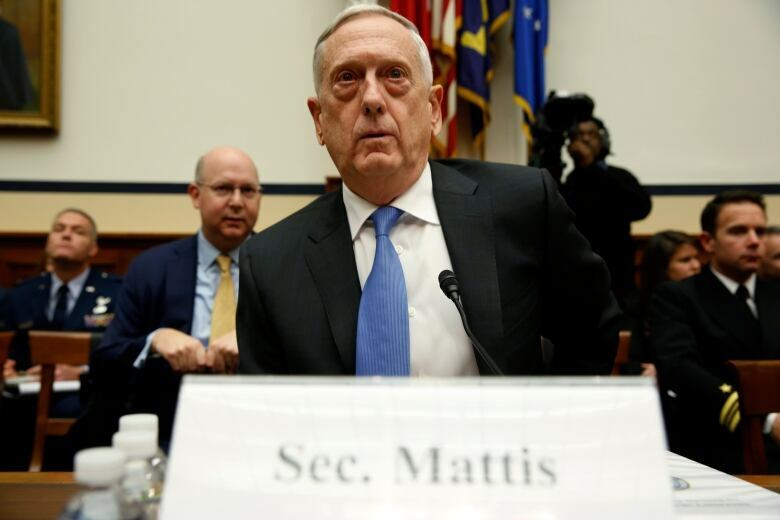 Woodward reported that after Syria's Bashar al-Assad launched a chemical weapons attack on civilians in April 2017, Trump called Mattis and said he wanted the Syrian leader taken out, saying: "Kill him! Let's go in." Mattis assured Trump he would get right on it but then told a senior aide they'd do nothing of the kind, Woodward wrote. National security advisers instead developed options for the airstrike that Trump ultimately ordered. U.S. Ambassador Nikki Haley denied Tuesday that Trump had ever planned to assassinate Assad. She told reporters at UN headquarters that she had been privy to conversations about the Syrian chemical weapons attacks, "and I have not once ever heard the president talk about assassinating Assad." The book follows the January release of author Michael Wolff's Fire and Fury, which led to a rift between Trump and Steve Bannon, his former chief strategist, who spoke with Wolff in terms that were highly critical of the president and his family. Wolff's book attracted attention with its vivid anecdotes but suffered from numerous factual inaccuracies. 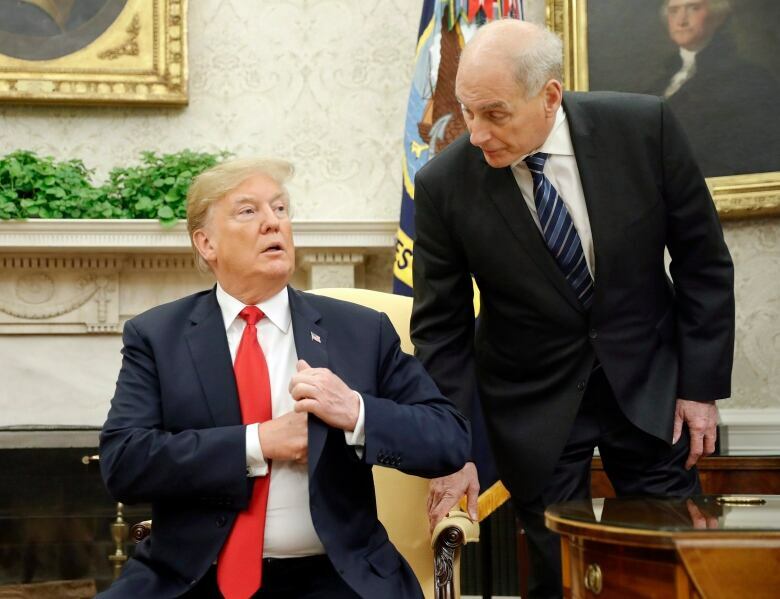 Woodward's work also comes weeks after former White House aide and Apprentice contestant Omarosa Manigault Newman published an exposé on her time in the West Wing, including audio recordings of her firing by Kelly and a follow-up conversation with the president in which he claimed to have been unaware of Kelly's decision. 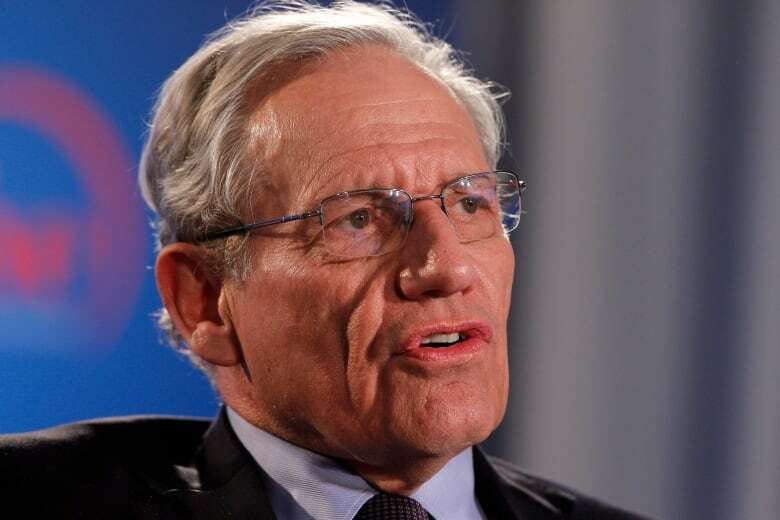 While White House aides have become increasingly numb to fresh scandals, the latest book still increased tensions in the West Wing, especially given the intimate details shared and the number of people Woodward appeared to have interviewed. Some White House officials expressed surprise at the number of erstwhile Trump loyalists willing to offer embarrassing stories of the president and his inner circle. White House aides on Tuesday co-ordinated with other officials quoted in the book to dispute troublesome passages. But insiders speculated the fallout could be worse than that from Fire and Fury, given Woodward's storied reputation. Woodward's book was already ranked the top-selling book on Amazon on Tuesday. Trump has been increasingly critical of anonymous sources used by reporters covering his administration. Woodward's account relies on deep background conversations with sources, meaning their identities are not disclosed. Former George W. Bush press secretary Ari Fleischer defended Woodward's methodology. "I've been on the receiving end of a Bob Woodward book," he tweeted Tuesday. "There were quotes in it I didn't like. But never once — never — did I think Woodward made it up." He added: "Anonymous sources have looser lips and may take liberties. But Woodward always plays it straight. Someone told it to him."